Setup a ‘Virtual Server’ (named it ‘Shared Hosting’ which combines my webserver and a SQL server). Created a Hosting plan, named it ‘Small Shared Hosting’. Created a customer and added the Hosting Plan to it. 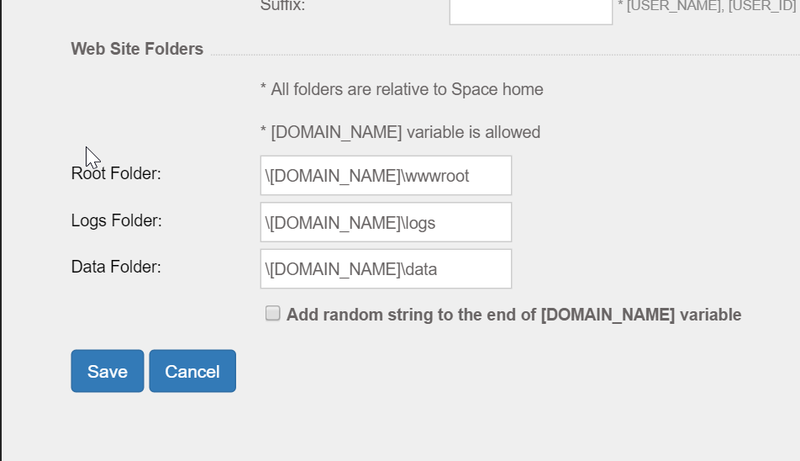 Now, a directory: D:\<hosting space>\<hostname>.<domainname>\wwwroot is automatically created. I can change my hosting space to: D:\inetpub\wwroot\. The domain name under it will also be created automatically, but I can’t figure out how to change the ‘wwwroot‘ into ‘www‘. Can someone help me with this? If you login as serveradmin –> bottom right you will see “Policies” –> then go to WEB Policy. Thanks! That’s exactly what I was looking for!